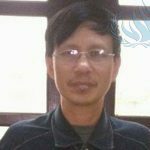 Truong Minh Duc is citizen journalist and human rights defender. 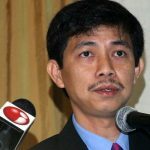 He is a former state journalist who wrote for for state-owned newspapers including Thanh Nien and Tuoi Tre. After witnessing and reporting on abuses of power and civil rights violations in Vietnam, he took to blogging and citizen journalism in 2002 to report on these issues. As the Vice President of the Brotherhood for Democracy, an organization that promotes civic engagement and provides training in human rights, Truong Minh Duc organised trainings on citizen journalism and general and digital security in different regions of Vietnam. 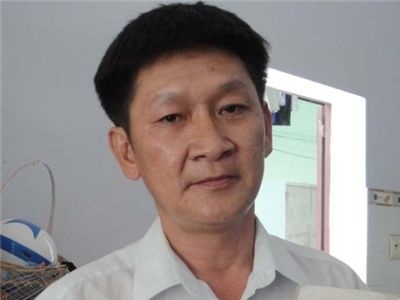 Truong Minh Duc was previously arrested in 2007 and sentenced to five years in prison, charged for “abusing democratic freedoms to infringe upon the interests of the state” under Article 258 of Vietnam’s Penal Code. He was awarded a Hellman/Hammett free expression grant in 2013 and the Vietnam Human Rights award by the Vietnam Human Rights Network in 2010. 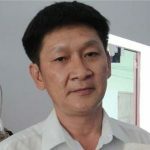 Truong Minh Duc and his colleagues from the Brotherhood for Democracy were arrested at the end of July 2017 as part of an ongoing crackdown on peaceful political expression. He was sentenced to 12 years in prison and 3 years house arrest on 5 April 2018. A revised and expanded penal code took effect January 1, 2018 (known as the “Amended 2015 Penal Code”). While the previous provisions criminalizing political expression remained unchanged, they were renumbered. For instance, Article 79 (attempting to overthrow the government), Article 88 (anti-state propaganda), and Article 258 (abusing democratic rights) were renumbered as Article 109, Article 117, and Article 331, respectively. 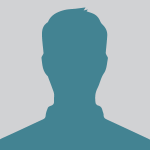 For consistency with past media coverage, our database records the Article(s) that the prisoner was charged with (i.e., based on the version of the penal code applicable at the time of the sentencing).